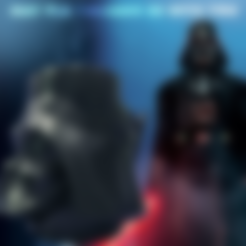 We started from the very good scan of Scobo, because we didn't find a realistic cup or mug dedicated to Darth Vader and already made. 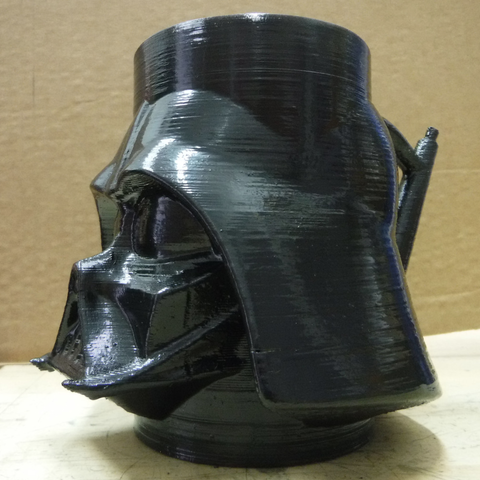 Respecting the original proportions and shape, we add a "Vader style" handle and one empty cylinder, and we printed it with the new PLA Volcano of FormFutura Holland, one special heat resistant PLA you have to anneal using the oven. After annealing, it resist 110 degrees so it's perfect for tea and coffee. Be the PLA Volcano be with you!